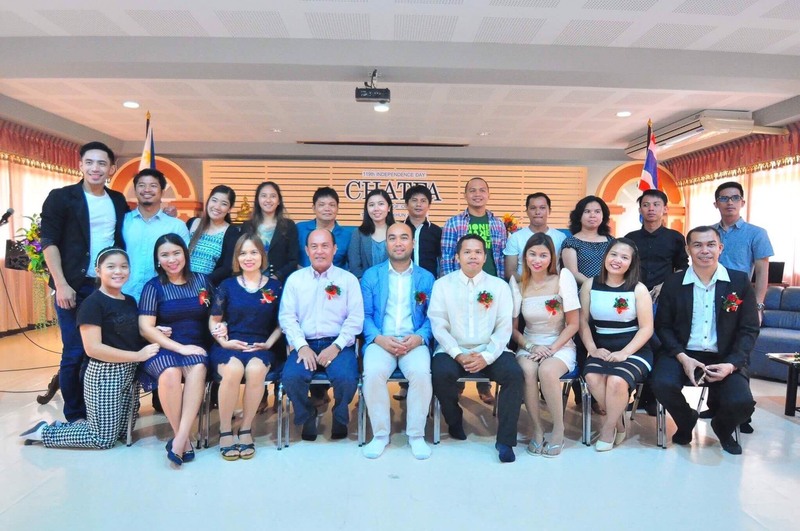 Vice Consul Jim Minglana officiated the induction of the founding officers of CHATFA (Chantaburi-Trat Filipino Association) on Sunday, June 18, 2017 at Trattrakarnkhun School, Trat province. 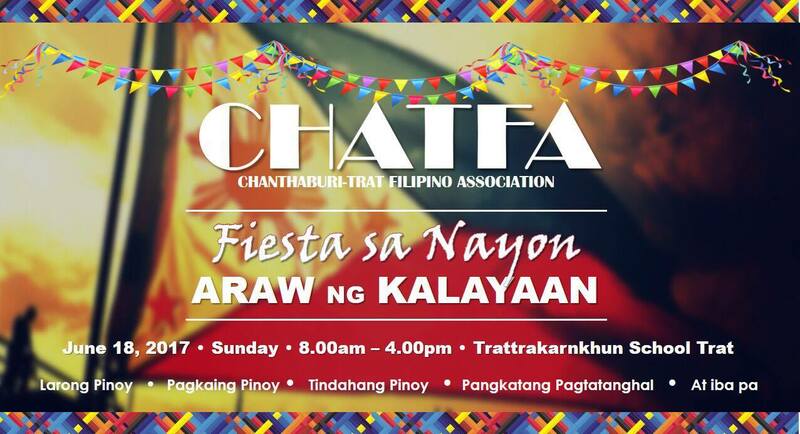 CHATFA is a newly established organization that comprises Filipino teachers and musicians, situated in Chantaburi and Trat provinces to promote solidarity, peace and goodwill among members. During the event, Vice-Consul Jim Minglana likewise highlighted the core values of Filipinos being instilled with “pakikipag KAPWA tao” which means consideration and sensitivity not only to oneself but also responsibility towards others. The presence of the Honorable Vice Governor of Trat, Dr. Prathan Surakitbovorn; Director Piriya Eakpiyakul of Trattrakarnkhun School; and Director Sanan of Trat Provincial Office have made the Opening Ceremony more dignified as they expressed their meaningful support to the organization. Dr. Prathan greeted the Filipino community and shared with their joy on the 119th Anniversary of Philippine Independence from Spain. He also stressed the friendship between Thailand and the Philippines that has spanned for years. 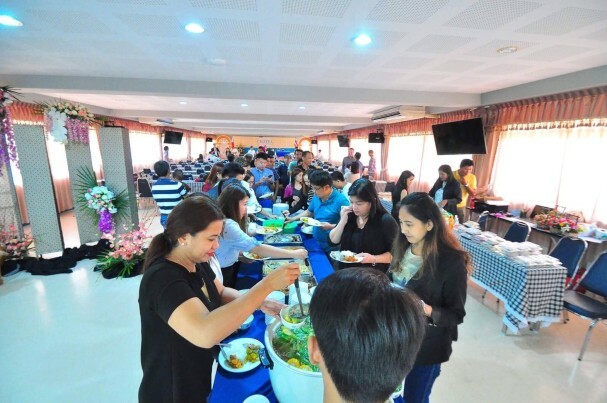 In addition, he commended OFWs (Overseas Filipino Workers) and encouraged everyone to continue to be of service to Thai people. 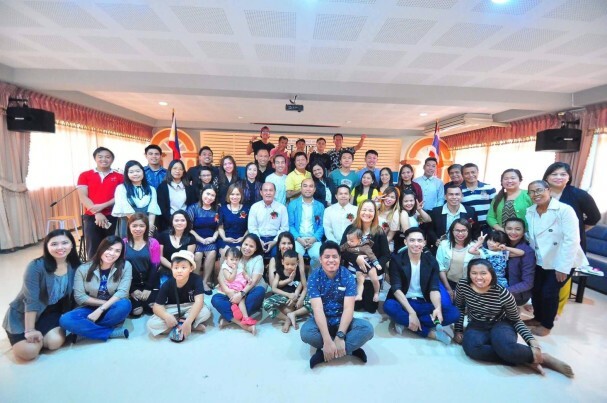 CHATFA gathering has turned more remarkable as Mr. Arnold Mortega, a respected Filipino businessman who’s married to a local Thai lady shared his challenging life that later became a joyful experience living in Thailand and his secret of successfully running a 10-year tourism business in Koh Chang. Mang Arnold as he is commonly called, likewise inspired not only the teachers but Filipino musicians and artists living in the Kingdom of Thailand. On this occasion, CHATFA greatly expressed their appreciation and gratitude to major sponsors such as SMDC (SM Development Corporation), GEORTRAVEL Tours & Services, GOHRAN Travel & Financing, SEA HUNTER of Koh Chang, WESTERN UNION of Krungsri Bank, GOLDBAR and PINOY THAIYO. The event wouldn’t have been successful without their loving support. Consequently, the day had become truly meaningful as it marked the commemoration of 119th Philippine Independence Day known as “Araw ng Kalayaan” at the same time it was the official appointment of officers’ duties and responsibilities among members who have actively shown camaraderie and cooperation integrated with enjoyable activities thru traditional games and pampering themselves with the taste of delicious Filipino delicacies. 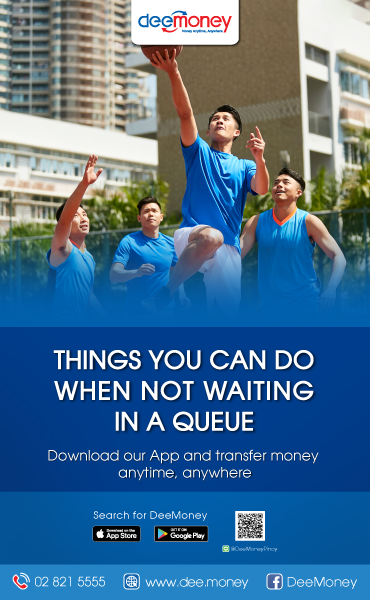 Hence, the event is considered to be a victorious celebration as each and every member looks forward to having another fantastic CHATFA get-together. Mabuhay! This article is written by Ms. Judy Santiago, CHATFA Treasurer.